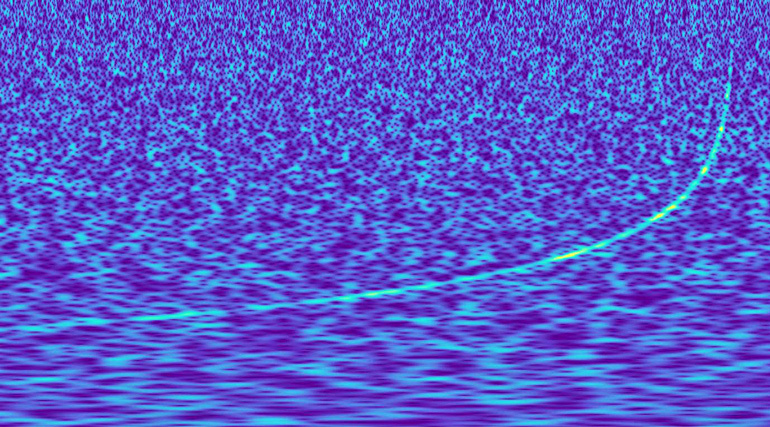 As the Laser Interferometer Gravitational-Wave Observatory (LIGO) turns back on April 1, scientists are preparing to get data that could shed light on some of the universe’s biggest questions. These ripples in the fabric of spacetime, called gravitational waves, tripped alarms at two ultra-sensitive detectors called LIGO, sending texts flying and scientists scrambling. One of the scientists was Daniel Holz, a professor in the astronomy and astrophysics and physics departments at the University of Chicago. 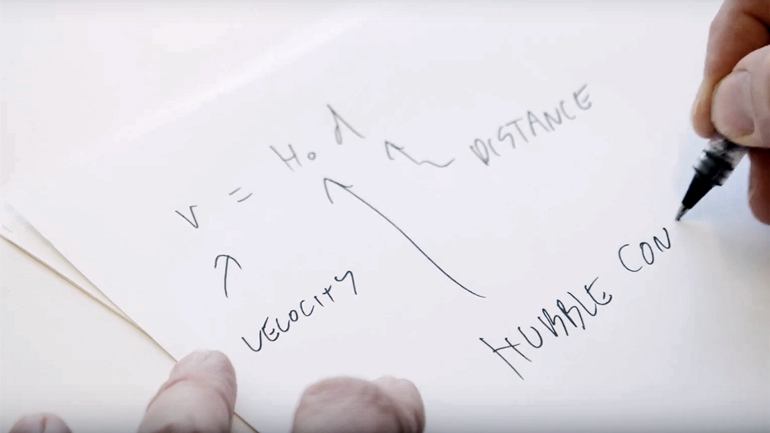 The discovery gave him the information he needed to make a groundbreaking new measurement of one of the most important numbers in astrophysics: the Hubble constant, which is the rate at which the universe is expanding. The Hubble constant holds the answers to big questions about the universe, like its size, age, and history, but the two main ways to determine its value have produced significantly different results. Now there was a third way, which could resolve one of the most pressing questions in astronomy—or it could solidify the creeping suspicion, held by many in the field, that there is something substantial missing from our model of the universe. We’ve known the universe is expanding for a long time (ever since eminent astronomer Edwin Hubble made the first measurement of the expansion in 1929, in fact) but in 1998, scientists were stunned to discover that the rate of expansion is not slowing as the universe ages, but actually accelerating over time. In the following decades, as they tried to precisely determine the rate, it has become apparent that different methods for measuring the rate produce different answers. One of the two methods measures the brightness of supernovae—exploding stars—in distant galaxies; the other looks at tiny fluctuations in the cosmic microwave background, the faint light left over from the Big Bang. Scientists have been working for two decades to boost the accuracy and precision for each measurement, and to rule out any effects that might be compromising the results; but the two values still stubbornly disagree by almost 10 percent. But first it would take years to develop technology that could pick up something as ephemeral as ripples in the fabric of spacetime. That’s LIGO: a set of enormous, extremely sensitive detectors tuned to pick up the gravitational waves that are emitted when something big happens somewhere in the universe. The Aug. 17, 2017 waves came from two extremely heavy neutron stars, which had spiraled around and around each other in a faraway galaxy before finally slamming together at close to the speed of light. The collision sent gravitational waves rippling across the universe and also released a burst of light, which telescopes on and around Earth picked up. That burst of light was what sent the scientific world into a tizzy. LIGO had picked up gravitational wave readings before, but all the previous ones were from collisions of two black holes, which conventional telescopes can’t see. Somewhat counterintuitively, the easiest part to calculate is how fast the object is moving. Thanks to the bright afterglow the collision caused, astronomers could point telescopes at the sky and pinpoint the galaxy where the neutron stars collided. Then they can take advantage of a phenomenon called redshift: As a faraway object moves away from us, the color of the light it’s giving off shifts slightly towards the red end of the spectrum. By measuring the color of the galaxy’s light, they can use this reddening to estimate how fast the galaxy is moving away from us. This is a century-old trick for astronomers. The initial value from just this one standard siren came out to be 70 kilometers (just under 43.5 miles) per second per megaparsec. That’s right in between the other two methods: The supernova method finds about 73 (just over 45 miles) kilometers per second per megaparsec and the cosmic microwave background finds 67 (just over 41.5 miles) kilometers per second per megaparsec. Of course, that’s only a single data point. But the LIGO detectors are turning back on after an upgrade to boost their sensitivity. 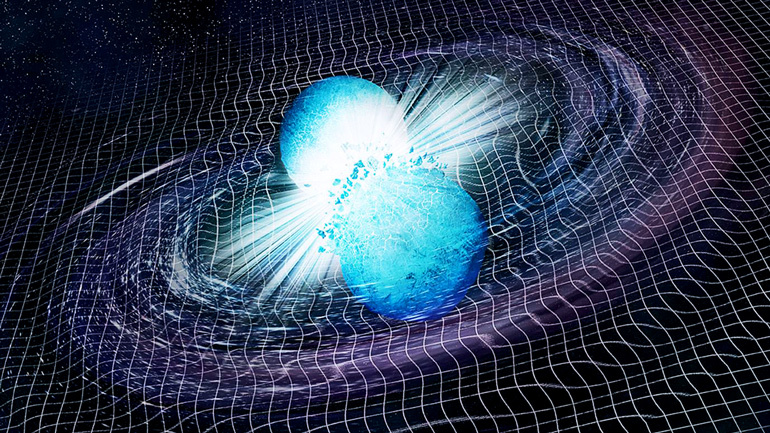 While nobody knows precisely how often neutron stars collide, Holz co-wrote a paper estimating that the gravitational wave method may provide a revolutionary, extremely precise measurement of the Hubble constant within five years. “As time goes on, we’ll observe more and more of these binary neutron star mergers, and use them as standard sirens to steadily improve our estimate of the Hubble constant. Depending on where our value falls, we might confirm one method or the other. Or we might find an entirely different value,” Holz says. So, why all the hubbub about gravitational waves?